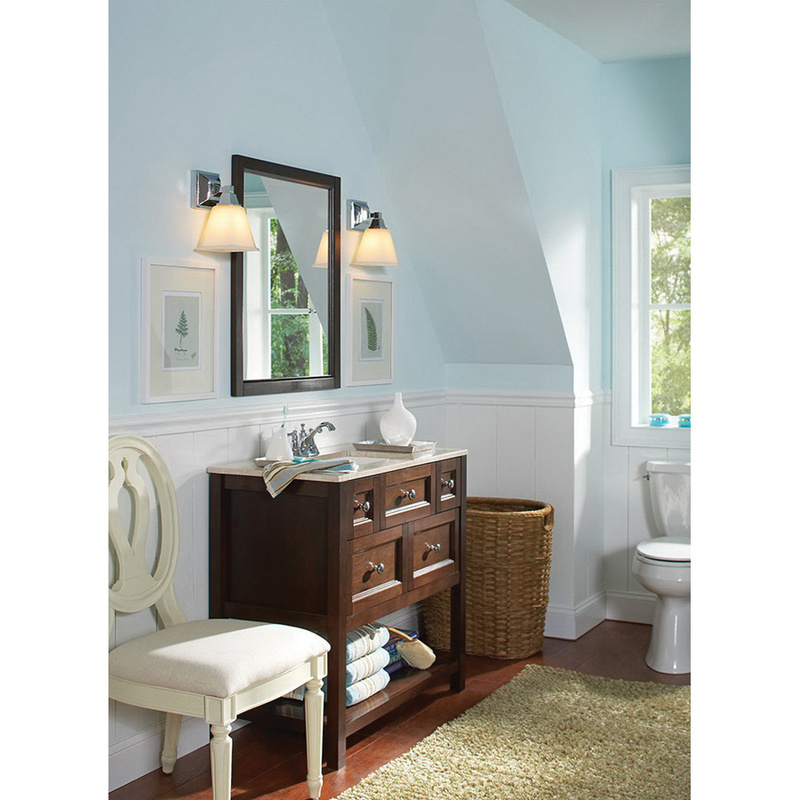 Sea Gull Lighting Denhelm Collection 3-Light wall/bath fixture in chrome finish, features steel/zinc construction. The etched/white inside glass shade measuring 5-3/4-Inch x 5-3/4-Inch x 5-1/2-Inch, brings elegance to the home. This fixture uses three 100-Watt medium A19 incandescent lamps that have voltage rating of 120-Volts. It measures 24-1/4-Inch x 10-Inch. This up/down mountable fixture firmly attaches to the wall/ceiling surface using a backplate of size 4-3/4-Inch x 4-3/4-Inch x 2-1/4-Inch. It comes with 6.5-Inch lead wire for hassle-free installation. Fixture is safety listed, Title 24 compliant and meets Title 24 Energy Efficiency standards.